Sustainable Heights Network (SHN) advocates for evidence-based community actions and education that will result in a positive impact on our environment and quality of life. For more information, visit www.sustainableheightsnetwork.net. Solid Waste: Pack-and-ship stores in the Heights and nearby will likely accept foam peanuts for reuse. Check with the store, or call the Plastic Loose Fill Producers Council (800-828-2214) to find a drop-off site. Nike’s Reuse-a-Shoe program turns old shoes into playground [material] and athletic flooring. The closest sneaker collection drop-off site to the Heights is Nike Factory Store in Aurora Farms. Energy Savings: Switch to electricity from renewable energy sources. In Ohio, 82 percent of electricity is generated by coal or natural gas; both are greenhouse gas sources that contribute to climate change. The Cuyahoga County Solid Waste District rolled out new recycling guidelines for county residents earlier this year. The district’s goal was to reduce confusion about what could and could not be recycled by creating a consistent countywide message about how to recycle properly. Diane Bickett, executive director of the Cuyahoga County Solid Waste District, will speak at the Lee Road Library on Oct. 27, at 6:30 p.m., and provide information on how Heights residents can become better recyclers. Residents are throwing a lot of things in their recycle bins that should not be there—food, clothes, toys, engine blocks, garden hoses—even bowling balls. This causes problems, because sorting out these contaminants comes at a high cost. The Sustainable Heights Network (SHN) offers monthly tips to help reduce your bills and environmental impact while making your life more comfortable. For more information, visit www.sustainableheightsnetwork.net. Energy Savings: Autumn is a great time to weatherize your home. Why not begin by asking a professional to evaluate your home-energy use? The SHN steering committee recently interviewed Empower G&E and was impressed. Empower offers homeowners free one-hour inspections, focused on insulation, air leaks, lighting and thermostats. In addition, Empower will introduce homeowners to a team of vetted, local contractors, and inspectors to verify that the job is properly completed. Empower can also help arrange financing so that the loan payment each month is nearly equivalent to what the homeowner will save each month. Contact Empower at 937-830-3189 or visit http://empowergasandelectric.com/empowers-1-hour-energy-assessment. Recheck wipers and washer fluid. Think ahead to colder weather, and use fluid rated to at least -20F. Set up carpooling arrangements for school or work, and turn off your engine while you wait. The “why” is easy: pesticides are poisons. Although they are approved by the EPA, approval does not connote safety, even when used as directed. Thus, Cleveland Heights became the first city to formally recognize that people (especially children), pets and the environment should not be unnecessarily exposed to these toxic materials. Indeed, some pesticides have been associated with an increased risk of acquiring asthma, and an EPA report (1996) states that childrens’ developing organ systems make them more vulnerable and less able to detoxify these chemicals. The first community event hosted by a revitalized Sustainable Heights Network will feature a presentation on Sustainable Cuyahoga: A toolkit of recommended best practices for cities in Cuyahoga County. The program will take place on Monday, June 13, 6:30 p.m., at the Lee Road Library. Mike Foley, Cuyahoga County director of sustainability, in partnership with David Beach, executive director of GreenCityBlueLake Institute, developed the toolkit to provide best practices and resources for all 59 municipalities in Cuyahoga County. It includes recommendations for public officials to [enable them to] learn about sustainability issues, get help from local experts, and take action. It is also a resource for citizens who want to work with local government officials to improve their communities. The Heights Earth Day Celebration is for anyone interested in helping planet Earth, as well as learning about sustainable practices in the Heights and throughout Northeast Ohio. Disciples Christian Church, at 3663 Mayfield Road in Cleveland Heights, will host the celebration on April 23, from 11 a.m. to 3 p.m.
Attendees will have a chance to learn about the following organizations and services: City Fresh, a local community-supported agricultural (CSA) program through which participants buy locally grown produce in advance and then pick it up at a convenient location; Doan Brook Watershed Coalition and the Northeast Ohio Regional Sewer District; the seed library at Coventry Village Library, and its mission to distribute seeds to gardeners; environmentally friendly cars from Motorcars Honda, as well as the solar project at Motorcars’ Cleveland Heights facility; solar-power consultant Ryan Walling; and Cleveland Heights’s Home Repair Resource Center. Cleveland Heights residents are invited to a public meeting to discuss establishing a community “Time Bank,” Tuesday, Feb. 11 at 7 p.m. in Meeting Room A at the Cleveland Heights Main Library, 2345 Lee Road. On Wednesday, Oct. 2, the Sustainable Heights Network (SHN) will host a free tour of Heights High School and an after-tour community networking event at the Wine Spot on Lee Road. The purpose of the event is to provide voters the opportunity to walk through the high school and learn about the building's current condition and to discuss proposed facilities upgrades that include reaching LEED silver and possibly gold standard if Issue 81 passes. 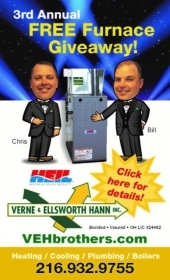 The tour begins at 6:30 p.m. at the Washington Boulevard entrance to the school and features a behind the scenes look at the building's infrastructure and systems. On hand to answer questions will be Patrick Mullen, co-chair of Citizens for Heights Schools, and Steve Dzuranin, representative from Fanning Howey Architecture, Engineering, and Design. The 2012 edition of the annual Cuyahoga County Solid Waste District report on residential recycling rates shows a significant upward trend for both Cleveland Heights and University Heights. The survey measures 59 communities in the county in terms of total tons of solid waste deposited in landfills, tons recycled of both recyclables and organics, and each community’s recycling rate for 2012 and 2011. The recycling rate is the percentage of the total residential waste created by the community that is not delivered to landfills. Cleveland Heights’s combined recycling and landfill waste decreased by over 1,100 tons from 2011 to 2012, while total recycling volume increased by more than 2,500 tons, and landfill waste dropped 3,600 tons. As a result, the city’s recycling rate jumped from 59.98 percent in 2011 to 66.98 percent in 2012. Eighteen families in Cleveland Heights have new additions to their households—hens. Matt Wilson, who lives near the Lee Road Library, got his coop in June 2012 and owns four hens. He said that having a chicken coop has helped him meet a lot of his neighbors. "Some of them bring friends from outside the neighborhood to see our chickens," said Wilson, adding, "My son's like a celebrity at school, as the kid who owns chickens." Cleveland is the only other city in Cuyahoga County that permits chickens. Cleveland Heights City Council approved the keeping of chickens for eggs in May 2012 as part of the city’s Sustainable Zoning Amendments. Chickens are conditionally permitted by the new code. The process of amending the city’s zoning code took almost two years and included reviewing the existing zoning code, hiring consultants, holding public and stakeholder meetings, writing documents, and reviewing zoning codes from other parts of the country. Community gardens are a tremendous asset to our community. In addition to providing a gardening opportunity to apartment dwellers and to homeowners who desire additional or better garden space, community gardens promote sustainable practices like food-waste recycling and local food production. They also improve community food security by enabling residents to grow their own food or donate what they grow for hunger relief, provide an engaging activity for youth and improve the appeal and property values of neighborhoods. It was a brisk and overcast morning, but the enthusiastic volunteers were undeterred. Cleveland Heights’s newest community garden took its first action steps on Nov. 3, on the front lawn of Grace Lutheran Church on Cedar Road. Volunteers from Food Not Lawns Cleveland joined forces with Grace Lutheran congregants and, with support from Asian Services in Action, prepared a 20 x 20 plot that will become a demonstration sheet mulch garden, to be farmed by local Bhutanese refugee families and other interested residents in the spring. As winter weather sets in, members of the Montford Community Garden Association are busy preparing to open their new garden on a vacant lot at the corner of Montford and Windsor roads. "Now is the time to get everything in place," said Pat Byrne, association president and resident of nearby Englewood Road. "When the weather warms up we need to be ready to hit the ground running." The Montford group formed last spring, following the demolition of a rundown house on the property by the Cuyahoga County Land Reutilization Corporation, commonly known as the Cuyahoga Land Bank. FutureHeights and Sustainable Heights began green mapping the sustainability assets and resources of Cleveland Heights and University Heights in 2010. Very few religious institutions are on the map, but St. Paul’s Episcopal Church has been featured since the very beginning. The current map can be viewed at http://www.opengreenmap.org/greenmap/sustainable-heights-green-map. Icons identify the areas of support for community sustainability. Anyone can help build the map by submitting sites, as well as comments, pictures and video. The community is invited to attend a Heights Local Food Week free screening and discussion of “FRESH, The Movie” on Monday, Oct. 1 at 7 p.m., at the University Heights Public Library. Co-sponsored by Heights Libraries and Sustainable Heights Network, with refreshments provided by Whole Foods, “FRESH” celebrates the farmers, thinkers and business people across America who are re-inventing the nation’s food system. Each has witnessed the rapid transformation of agriculture into an industrial model, and confronted the consequences: food contamination, environmental pollution, depletion of natural resources, and morbid obesity. Forging healthier, sustainable alternatives, the film offers a practical vision for a future of our food and our planet. During the first week of October, the Heights will celebrate sustainability with Local Food Week. The event is coordinated by the Sustainable Heights Network and will feature events throughout the week, as well as a festival on Saturday, Oct. 6, at Grace Lutheran Church, 13001 Cedar Road, Cleveland Heights. Enjoy local food dishes at Nighttown, Brennan’s Colony and Barle Soup & Sandwich every day from Oct. 1–5, and experience a “fresh mob” hosted by The Wine Spot and Farmshare Ohio on Friday, Oct. 5, featuring Ohio wines and farm-fresh produce. Other activities, such as a movie screening about the local food movement and local farmer’s markets, are happening throughout the week. The annual Coit Road Farmers Market Benefit will be held on Monday, Oct. 8, 6–8 p.m. at The Beachland Ballroom. The event features live music and the taste of the local harvest form area farmers prepared by local chefs. Tickets are $35, and are available at at the Coit Road Farmers Market or online at www.coitmarket.org. The market is open on Wednesdays, 10 a.m. to 1 p.m. from April to November, and is open on Saturdays, 8 a.m. to 1 p.m., year round. The market is at 15000 Wordworth Road (corner of Coit and Woodworth roads), East Cleveland. Everyone talks about the weather but nobody does anything about it. The recent mild winter and hot summer have convinced even skeptics that human-induced climate change is a reality. Drive the most fuel-efficient car you can afford. Better yet, walk, ride a bicycle or take public transportation. Modify your diet. Production of protein from meat uses far more fossil-fuel energy than plant sources. Become involved. The Sustainable Heights Network is a group of citizens promoting sustainability in Cleveland Heights and University Heights. Join them. The first week of October will be Local Food Week in the Heights, a celebration of the benefits of eating food produced locally. Coordinated by the Sustainable Heights Network, Local Food Week will feature programs and events Oct. 1–5, followed by a fun and educational Festival of Local Food on Saturday, Oct. 6, at Grace Lutheran Church, 13001 Cedar Road, Cleveland Heights. The Cuyahoga County Solid Waste District released its 2011 Residential Recycling Report, revealing the degree of participation in recycling programs by residents of the county’s 59 communities. The City of Cleveland Heights, which has encouraged its residents to observe sustainable practices with a renewed vigor since the unveiling of its 2011 Strategic Development Plan, claimed a top-ten spot on the list. Disposing of 18,676 tons of solid waste but saving 27,988 tons from landfills, the city was able to report a total of 59.98 percent materials recycled. This amount is a slight improvement over the 53.16 percent recycled in 2010. Project Build and the Environmental Club focus on sustainability and community service, providing hands-on volunteer opportunities for students at Cleveland Heights High School. Senior Ariel Travis, a leader in both clubs, seeks to create more service opportunities at the high school. “Both clubs share the same vision and have similar goals. I believe we can do great things together,” Travis said. Started in October 2011 by Travis and math teacher/club advisor Chris Sutton, Project Build has attracted over 100 volunteers and is one of the fastest-growing clubs on campus. As a conscientious recycler, you may have been dropping off batteries, along with other recyclables, at the University Heights Recycling Center. Until March of this year, however, batteries were not recycled; they were thrown out. As a result of the efforts of one concerned resident, the City of University Heights now recycles all types of batteries, through a program with The Big Green Box—the only company in Ohio that recycles batteries. Connecting the Heights and University Circle by alternative modes of transportation (i.e., bicycling, walking or taking the bus or rapid transit) is an important initiative for both Cleveland Heights and University Circle. Among the advantages of living in Cleveland Heights is its proximity to University Circle’s cultural attractions, its booming construction and job growth, and multiple transportation modes to downtown. But as University Circle continues to build, less space will be available for parked cars. The East Cleveland Parks Association (ECPA), the volunteer organization that cares for Forest Hill Park, wishes to thank Milan Wylie for his generous donation of $1,400, designated for the removal of several oak trees. These large oaks had fallen in the Great Meadow, leaving unsightly stumps and large debris, which has made the Great Meadow difficult to mow. Although birders may bemoan the loss of the stumps for bird habitat, they should be reminded that many other stumps remain in unmanaged natural areas of the park. For the past year, the City of Cleveland Heights Planning Department has been working on new zoning amendments that will make certain sustainable practices easier to implement without seeking special approvals. The proposed amendments include rain barrel placement, chicken coops, community gardens and urban agriculture, porous paving, commercial and residential construction, and lighting, among others. The draft is ready for public input and final approval. There will be a series of three meetings that will enable residents to weigh in on the code changes, beginning with a planning commission meeting on Wednesday, March 14 at 7 p.m. in council chambers. A second public meeting will be held on March 26 at the community center at 7 p.m. The final opportunity to participate in this process will be the planning commission meeting on April 11. Council is expected to vote on the commission's recommendations on April 16. Heights residents are abuzz with excitement about plans to support existing community gardens and grow new ones in our neighborhoods. The Sustainable Heights Network (SHN) hosted a meeting to discuss community gardening on Jan. 24, and the response was overwhelming. More than 50 residents packed the meeting room to hear experienced community garden leaders explain how their gardens operate, and give residents an opportunity to describe their hopes and plans for the new gardens. Six local experts discussed resources available for community gardens. The Sustainable Heights Network—an informal group created to connect people and ideas to help build a more sustainable future for the community—has launched an initiative to facilitate community gardening. Goals include locating sites that could be used for community gardens, providing a mechanism for people interested in community gardening to connect with one another, and accessing resources that support new community gardens. Ohioans and other Americans traditionally put 25 percent more trash at their curbs in the weeks between Thanksgiving and New Years--mostly wrapping paper, ribbons, party decorations and mail-order catalogs. Overall, Americans generate about 1,000,000 extra tons of trash per week during that same time period, according to the Ohio Department of Natural Resources. New Generation Inspired by "Freeway Fighters"
On Oct. 26, the Nature Center at Shaker Lakes held an open house to welcome the "little ladies in tennis shoes"—a group of determined citizens who 40 years ago helped stop a freeway that would have carved through the Shaker Lakes. Now, these "Freeway Fighters" are the main characters in a new book that captures their stories through interviews done by students from the Intergenerational School. The book also features beautiful photographs of the parklands, reflections written by the students themselves, a dedication by Shaker Heights Mayor Earl M. Leiken, and pieces by sustainability expert David Beach and the co-founders of the Intergenerational School, Peter and Cathy Whitehouse. Follow some featured bloggers at the Heights Observer blogs from Oct. 16-23, as they post their daily challenges and thoughts during Sustainable Heights No Impact Week. Cleveland Heights and University Heights have an opportunity to work towards a more sustainable and greener future. In October, the Sustainable Heights Network will host No Impact Week, a carbon cleanse challenge. Participants will receive a daily e-mail, giving them instructions on the week's challenges, which will feature eight core components of sustainable living. Local organizations will hold special events in conjunction with the day's theme. 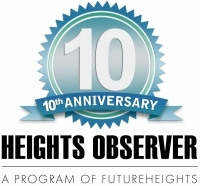 Participants are invited to blog on the Heights Observer's blog site, blogs.heightsobserver.org. Nestled between Cleveland Heights and South Euclid, the former Oakwood golf course is a tranquil place. Several species of rare birds flit through its trees. One of the few aboveground portions of Nine Mile Creek bubbles gently through it. Oakwood’s classification is even gentle: it’s designated as a "passive recreation park," meaning only hiking and horseback riding are allowed on its grounds. A new garden is growing near the intersection of Cedar and Taylor roads, where University Heights and Cleveland Heights meet. The Taylor Road Learning Garden represents the intersection of these two cities, and is evolving through the efforts of residents in both communities. Cindy Oser is among the University Heights residents who came together last fall to organize a community garden on a long-vacant plot of land adjacent to the Taylor Academy building. “Mayor Infeld had talked about community gardens during her campaign, formed a volunteer planning committee, and it took off from there,” she recalled. 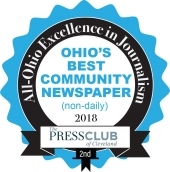 At the Aug. 8 council meeting, South Euclid City Council voted to dismiss placement on November's general election ballot an issue that would have allowed voters to accept or reject the recent rezoning of the South Euclid portion of the former Oakwood Club for commercial big box retail purposes. Citizens For Oakwood, a grassroots effort to promote sustainable use of the former Oakwood Golf Club in South Euclid and Cleveland Heights, has created an online petition at change.org. Every time someone signs the petition, an e-mail is sent to 27 local policy makers, including the mayors of Cleveland Heights and South Euclid, to "tell elected officials that paving over scarce never-developed land is NOT sustainable. And when other alternatives exist, it is inexcusable." At the May 10 networking forum held by Sustainable Heights Network at Rockefeller’s restaurant on Mayfield Road, the focus was on government. A group of public officials indicated that sustainability practices exist where you may not expect them. “We believe that the greenest buildings are existing buildings,” said Nancy Levin, director of the CH-UH Public Library. By “recycling” the former YMCA building into a library branch, the library has provided space for additional activities and outside organizations--including Playworks and the Dobama Theater. Sustainable Heights Network (SHN) will present an evening of community networking on Tuesday, May 10, from 6 to 8 p.m., at Rockefeller's restaurant. The event will highlight the sustainability efforts and policies of the City of Cleveland Heights with Mayor Ed Kelley, the City of University Heights with Mayor Susan Infeld, the Cleveland Heights-University Heights City School District with Superintendent Douglas Heuer, and the Cleveland Heights-University Heights Pubic Library with Director Nancy Levin. The parking lot at Cumberland Park is being reconfigured and beautified in a project designed to increase the water quality of runoff that drains into Dugway Brook. The $238,000 project is being funded by a grant from the Ohio EPA, according to Richard Wong, Cleveland Heights Director of Planning & Development. Key to the project is construction of bioretention basins that, to casual observers, will simply look like plant-filled medians between rows of parking spaces. Wong said they will work as filters, removing the worst pollutants from rainwater as it runs from the parking lot into the drainage system, which empties into the Dugway Brook ravine on the park’s western edge. The Sustainable Heights Network will host a networking event with Holly Harlan, founder of E4S, Entrepreneurs for Sustainability, at its first 2011 event on Wednesday, March 2. The Cleveland Heights Bicycle Coalition (CHBC) is cycling into its second year with its first quarterly meeting on Wednesday, Jan. 19, 7:30 p.m. at Jimmy O’Neill’s Tavern, 2195 Lee Road. CHBC wants to give all residents a chance to steer the coalition on a path that will make Cleveland Heights an even better place for bicyclists and for the community as a whole. Those who attend the Jan. 19 meeting can hear about CHBC’s work, provide input and learn about volunteer opportunities to help accelerate progress. Cleveland Heights High School seniors Evan Lanese and Tamar Atwell hope to transform the former Taylor School property into a sustainable learning lab. The advanced placement biology students presented their plan to fellow nature studies students in December, hoping to inspire them to form an environmental club to work on the project. Science teacher Steve Warner invited community experts to provide technical and funding advice and ideas about community involvement. Cleveland Heights and University Heights are among 12 eastern suburbs that have joined together to form a recycling consortium that will allow them to save money, and even turn a small profit, on recycled goods. The idea originated in Lyndhurst, and Cleveland Heights and University Heights got involved through the Cuyahoga County Solid Waste District. Through the consortium, cities can actually make money on their recycling and, more importantly, they can avoid ever having to pay for recycling. More than 40 events took place during Sustainability Week. When the week was initially conceived by the Sustainable Heights Network, no one knew if there would be enough events to fill the week. In the end, there were so many it was difficult to decide which ones to attend. Before the week started, Sustainable Heights had around 70 members on its mailing list; at the end of the week it had 200. Fairmount Presbyterian Church will host its third annual Fair Trade Festival on Friday, Nov. 12, from 6 to 9 p.m. Admission is $6 for adults, $4 for children, or $20 for a family. Admission includes a multicultural dinner from 6 to 7:30 p.m. The festival features traditional handmade clothing, jewelry, toys, holiday ornaments, olive oil and other articles unique to Central and South America, Africa, Asia and India. A Shepherd's Shop will be available for children only, where they can purchase gifts for parents and family members and keep them a surprise. FutureHeights invites volunteers to help map the sustainable features of the Coventry Village neighborhood at a mapping party and launch of the Sustainable Heights Open Green Map on Saturday, Oct. 9, from 1-3:30 p.m. at the Coventry Village Library. A cross between an informal field trip and hands-on workshop, the party is open to anyone who would like to contribute. Ruffing Montessori School has been named a 2010 Emerald Award winner by Crain’s Cleveland Business for successfully implementing sustainable practices that trim costs, increase cash flow and reduce the school’s environmental footprint. Ruffing recently completed a campus renovation using sustainable building techniques and materials, and achieved LEED (Leadership in Energy and Environmental Design) certification this year, making it the first LEED-certified building in Cleveland Heights. Bring your children, your grandchildren, or just your inner child for an afternoon of games in the Heights. Sustainable Heights and Funny Times are sponsoring "A Play Date in the Heights" from 4-6:30 p.m. on Oct. 9 The event is part of Sustainability Week, and is an opportunity to connect with nature, play and enjoy the fall weather. The central meeting spot for the event is the Coventry P.E.A.C.E Park. Play stations will be set up all around the park, playground and library. Participants will be able to listen to stories, play nature games and explore! Once you have had your fill of fun and games, enjoy some refreshments and relax. The Sustainable Heights Network is currently inviting events that highlight sustainable activities, practices, workshops, speakers, services or products in Cleveland Heights or University Heights to participate in Sustainability Week, scheduled from October 2-10. Cities across the United States are learning the benefits of becoming more bicycle friendly. Portland, Oregon, with nearly 100 miles of new bicycle lanes installed in the last decade, is now one of the top eight U.S. cities to attract recent college graduates. In San Francisco, 66 percent of merchants said that bicycle lanes had a positive overall impact on their business, according to a survey conducted four and a half years after the lanes were painted. The Sustainable Heights Network invites Heights residents to participate in Sustainability Week 2010, a week-long series of community events designed to help us build a more sustainable community. The Sustainable Heights Network is an active and open group of over 50 organizations and individuals who came together in April to celebrate the work undertaken by the people, the community, and the organizations of Cleveland Heights and University Heights to improve their quality of life and to inspire others to become involved. The network is an outgrowth of Sustainable Cleveland 2019, a process that seeks to mobilize Greater Cleveland to create a green and sustainable economy by the year 2019. Tour a solar-powered house, ride your bike to the farmer’s market, hike Doan Brook or participate in a Green Assets Mapping Party in historic Coventry Village. Most events are free and many are family friendly. See a partial list of events below and visit www.sustainableheightsnetwork.blogspot.com for a full list of events. For more information, e-mail the network at sustainablehts@gmail.com or call 216-320-1423. Sustainability Week 2010, a week-long series of community events from Oct. 2 through Oct. 10, will be hosted by the Sustainable Heights Network, an active and open group of over 50 organizations and individuals. John Carroll University, in conjunction with the Standard Products Dr. James S. Reid Chair in Management, will host a daylong Second Annual Conference on The Great Lakes/St. Lawrence Marine Highway, "Fitting the Pieces Together" on Aug. 30 at the Dolan Science Center on campus. The conference purpose is to discover how the Great Lakes and the St. Lawrence Seaway give Northeast Ohio manufacturers and shippers a competitive advantage in the global economy. Parks, social services, green buildings, recycling centers, volunteer activities, community gardens, libraries, historic districts, street festivals, people and organizations-these community assets are examples of important contributors to the sustainability of Cleveland Heights and University Heights. Whole Foods Market will hold a free Community E-Cycling & Earth Month Celebration from 10 a.m. to 3 p.m. on Sat. April 17 at its University Heights store, Cedar Center. Anyone may drop off used, broken and unwanted electronics. Then stop in the store for food samples, entertainment and activities. The Writers and Readers Series at the Cleveland Public Library is bringing author, journalist and urban planning expert, James Howard Kunstler, to the Stokes Auditorium of Cleveland Public Library’s Main Branch on Sunday, March 14, at 2 p.m., (325 Superior Avenue, Downtown). Kunsler is known as one of the foremost social critics of the modern era. His books The Geography of Nowhere (1993) and Home from Nowhere (1996) established him as a fierce critic of suburban sprawl and the high cost of a car dependent culture. Kunstler says he wrote The Geography of Nowhere, "Because I believe a lot of people share my feelings about the tragic landscape of highway strips, parking lots, housing tracts, mega-malls, junked cities, and ravaged countryside that makes up the everyday environment where most Americans live and work." With Americans annually emitting more than 7.5 billion tons of carbon that contributes to a global increase in temperature, rise in sea level and dramatic changes in climate and weather patterns, the need for reduction in carbon output is drastically important. Recently, a group of innovative founding partners organized a fund for the public to play a role in eliminating carbon emissions. The Cleveland Carbon Fund is the first community-based, open-access carbon reduction fund in the United States with a mission to sponsor the formation and implementation of local carbon reduction projects that help foster economic development, social well-being and environmental stewardship in Cleveland. The City of Cleveland, Cleveland Clinic, the Cleveland Foundation, Cleveland Museum of Natural History and the George Gund Foundation make up the collaborative group of the Cleveland Carbon Fund’s Founding Partners.